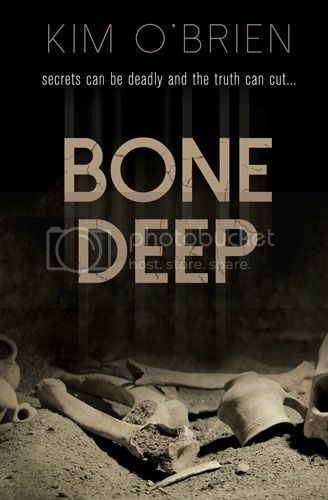 Synopsis: When Paige Patterson travels to Arizona to spend the summer with her archeologist father, she expects answers. Why did her parents divorce? Why did her father choose his career over family? She doesn’t expect to be reunited with her best friend Emily Linton, a girl she has always admired and secretly wanted to emulate, or to find herself falling for the project manager’s son, Jalen Yazzi. But the summer takes a terrible turn when Emily vanishes. As the police struggle for answers, Paige sets out to find the truth. The search takes Paige from the Cliffside ruins of prehistoric Native Americans to the Navajo Nation to the horrifying possibility that the answer is much closer to home. Emily, it turns out, was not the only one good at hiding things. Her father has no alibi for the night Emily disappeared. An intern with the motive insists he’s innocent. And Jalen has some secrets of his own. Old bones might not be the only things buried in the ruins. As Paige digs deeper into Emily’s disappearance, she realizes that uncovering the truth may cost her everything—even her life. Kim O’Brien grew up in an old Victorian house in Bronxville, NY. Her mother loved telling her bedtime stories, especially ones about the ghost in their attic. Kim not only believed the house was haunted but also fell in love with books and the art of storytelling. At Emory University in Atlanta, Kim earned a B.A. in psychology. She then attained a M.F.A in writing from Sarah Lawrence College in Bronxville, NY. She worked for many years as a writer, editor, and speechwriter for IBM before becoming a full time fiction writer. She lives in Texas with her husband, daughters, and four-legged friend Daisy. Kim is the author of eight inspirational romances and seven non-fiction children’s books. She loves to hear from her readers and can be found at www.kimobrienbooks.com/, Facebook, and Twitter (kimobri).